What items do you fix? I fix computers mainly, but I also fix mobile devices sometimes as well. I’m a high school student. When did you first start with working with Repair Café Toronto? I first started volunteering with the organization in November of 2016. How did you learn your skills? I learned them mostly through my own research and I took one class on computer building. What is your favourite location? I don’t have a favourite location yet. Why/when did you become interested in repairing things? I became interested in repairing things when I built my own computer in 2013 and helped a friend do the same. 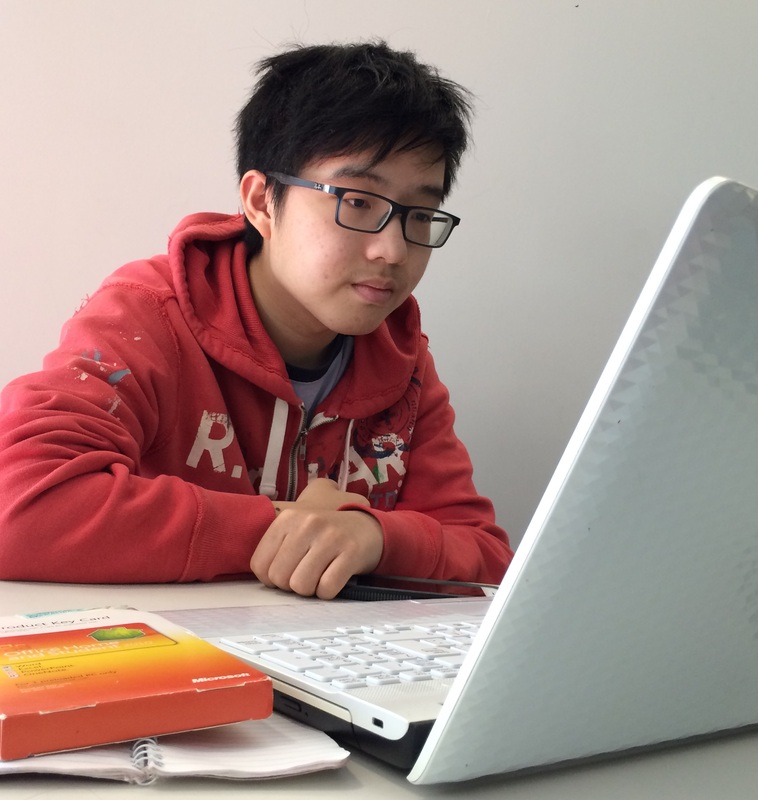 I became interested in repairing things because I liked to help others when I could and repairing computers was a way for me to help people. 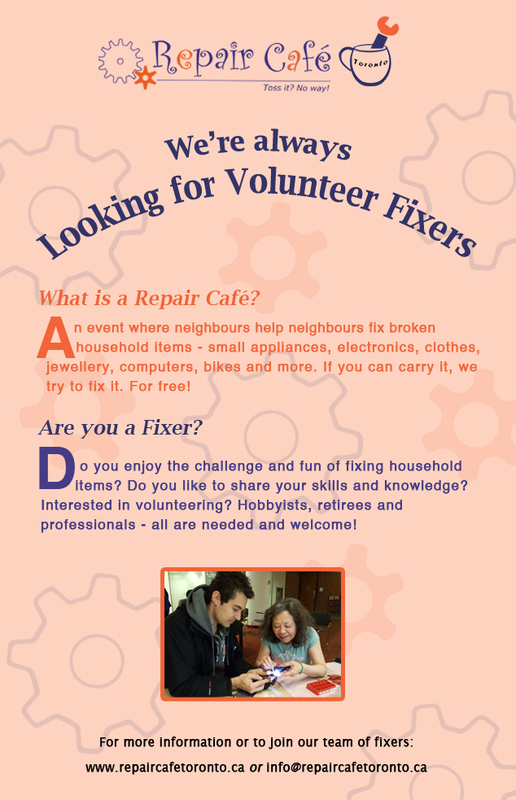 What does it mean to you to volunteer at the Repair Café Toronto? It’s another opportunity to help people to the best of my ability. Before I started volunteering at Repair Café, friends would ask me for help sometimes, but I wanted to help more people. I enjoyed seeing how happy people were when I could fix something for them and I could learn and develop my experience from fixing different problems. What is the most memorable item you have repaired? I don’t have a particularly memorable item yet. Why should people get involved with the Repair Café? I think people should get involved because it’s a great cause. Both volunteers and participants can share their skills and help each other while getting items repaired for a much lower cost than at a professional repair shop. Where do you see the Repair Café Toronto in five years? I hope to see it expand into a larger organization with more volunteers and participants, as well as with multiple events across the city each month instead of just one major event each month. *Visitor registration closes at 2:00 p.m.
Every Sunday 12 – 4! We’re fixing Small Appliances, Home Electronics, Household Items and Clothing. Visitor registration ends at 3:30 p.m.
Fixing small appliances, home electronics and housewares (only). Visitor registration will close at 7:30 p.m.